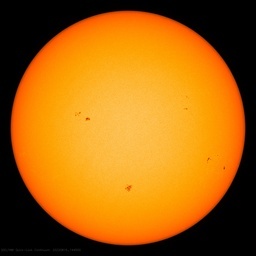 Questions raised about Met Office claims of a new high temperature record | Watts Up With That? Readers will recall that when I asked for the temperature data at Heathrow for 1st July, I was told it would cost me £75 (+ VAT!!). The next day, however, they published this graph, showing a considerable spike. Thanks to Willis Eschenbach’s excellent analysis at WUWT, I noticed that the data I had requested had actually been provided FOC to Carbon Brief, a political blog set up to promote the decarbonisation agenda. Carbon Brief, with the help of advice from the Met Office’s Mark McCarthy, then used the data to attempt to prove the assertion that it “woz the sun wot done it, onest guv”. So, let’s take a look at the data, which the Met Office were so reluctant to hand over to me. Also note that there was a subtle wind shift from from the SE to S, from 14.06 to 14.12, just as temperatures picked up. Or 1.6C in five? 1) Why were they so reluctant to provide this data to me in the first place? 2) Why are they so keen to help the Carbon Brief with their propaganda? Is it really possible for a bit of sunshine to increase temperatures by 0.9C in two minutes? July 19, 2015 in MetOffice, records. Will BBC really fire the Met Office ? I wish I had a link but this reminds me of a post some time ago where someone noticed a spike in the high for the day at an airport (Boston?) correlated to a shift in the wind direction. The “high” was recorded when the wind shifted to across the runway toward the recording station. It could well be Boston. Logan is located with the water on one side and the Boston municipal heat island on the other. The difference in temperature between air coming in off the Atlantic, and air coming in off Atlantic St. in Boston would be fairly large. Temperature is mission-critical information for pilots. Air temperature affects air density, which affects the amount of lift a wing can develop. An aircraft can be incapable of getting airborne if the air temperature is high enough ie it would crash if it attempted to take off. It might be wisest to not use airport weather stations for forecasting and climate analysis etc, but that’s a separate matter. Because they give higher readings. What else? The temperatures of the runways at airports have as much to do with the overall planetary average temperature as the temperature in my den. The official temperature of my city Orlando is taken at a major international airport and for some odd reason we will always be 2F to 5F degrees warmer than all the small cities around us, even those way to the south of us. Odd, no? Scott, as has been pointed out, the planes need the information. The problem is that their data is being used for something for which they weren’t designed and are ill suited (and sited) to provide, that is, being part of a “Global Temperature” network. 0.9C, in 2 minutes? That’s like over 100 years of global warming. For routine meteorological observations there is no advantage in using thermometers with a very small time-constant or lag coefficient, since the temperature of the air continually fluctuates up to one or two degrees within a few seconds. Thus, obtaining a representative reading with such a thermometer would require taking the mean of a number of readings, whereas a thermometer with a larger time-constant tends to smooth out the rapid fluctuations. Too long a time-constant, however, may result in errors when long-period changes of temperature occur. It is recommended that the time-constant, defined as the time required by the thermometer to register 63.2 per cent of a step change in air temperature, should be 20 s. The time-constant depends on the air-flow over the sensor. What is the time constant of the sensor at Heathrow; enquiring minds want to know. whereas a thermometer with a larger time-constant tends to smooth out the rapid fluctuations. Exactly right …… and exactly what is required if there is ever any hope of determining a “believable” local, regional or global Average Surface Temperature. And exactly why I have been saying that all Surface Temperature Stations be converted to a “liquid immersed” thermometer or thermocouple auto-recording mechanism. Given my above said, the “liquid” provides the afore stated “time-constant or lag coefficient” … that will, per se, ….. automatically “average” all short time/term temperature fluctuations, …… regardless of whether said “short time/term temperature fluctuations” were the result of … a change in wind direction, a blast from a jet engine, a brief rainfall, intermittent cloud cover or whatever. Thus said, ….. then all “after-the-fact” adjusting, massaging and/or recalculating of Recorded temperatures by the per se “experts”, would have no basis of fact or reason for performing said “adjustments”. Why are they so keen to help the Carbon Brief with their propaganda? We now have three models: 1) Natural causes, 2) Anthropogenic (CO2), and 3) Anthropogenic (Jet). My quick engineering “smell test” points to 3) Anthropogenic (Jet), despite the Met Office’s politically correct 2). Can the quantitative uncertainties now distinguish between them? See models of jet engine plumes etc. Yes, but the thermometer doesn’t measure the heat from the sun directly. One would have to blast the heat through the louvers to get the 0.9 deg. change. And it may have been to a higher temp as well: the data captured was at a certain time, not the max – or was it?? Is it possible that the instrument is set not to report the average temperature measured, per second or per six seconds over the previous minute, but the maximum? These devices usually record the time averaged temperature and also the min and max seen in the reporting period. I can point to an OPUS 10 as typical for the type of data logged. The record shown looks more like the max value logged than the average. Let’s find out how it actually determines the reported temperature. I doubt very much it is the instantaneous temperature. The ‘lag coefficient’ is handled by computation these days. That 20 second delay stuff is probably not applicable. I’ll bet it logs the temp 10 or 60 times per minute. I wonder if they will part with the raw data? I served on the U.S. Carrier USS Constellation i in the early ’80s. How hot is jet blast? One night a new flight deck crew member was told to stay at a safe spot and instead moved to another place near the superstructure. An F-14 was taxiing for a launch and in his turn, the jet exhaust caught this new guy and pinned him up against the superstructure, melting his cranial and ear protection over his head and exploded his co2 life vest cartridge. He died. Jet exhaust is very hot. Ps. Los Angeles and Southern California just set some record precipitation records. El Nino and Hurricane Dolores helping out here. I have never seen it rain here in July. Yesterdays morning thunderstorms were spectacular. It is raining now, today. Of course, a quarter of an inch here is a big deal, esp. in summer. San Diego got 1.0″ yesterday. In hopes that El Nino will stay through winter and relieve this drought a bit and not be so warm that the Sierra snows will melt too fast. I’m just jazzed for rain here in July. The cumulonimbus clouds over the mountains to the east were spectacular earlier in the day when they were visible. With the rain and extra co2, my orange and tangerine trees are really happy. I’m having a few beers to celebrate with them. Fat and Happy. OMG, what a horrible way to go. RIP, young sailor. Your service ended prematurely, but it was still greatly appreciated. This would also be the first summer that the entire airport has new black asphalt. How much did they adjust for new black asphalt at the entire airport? Reminds me of a shopping center in suburban Denver back in the 80’s. The owners were a bit naive about large expanses of fresh asphalt on a warm sunny day, at 5900 feet above sea level. A few weeks before the planned opening one of the development partners was stranded in his car that got stuck in the middle of the freshly paved expanse of black goo … I think they had to send a fairly large dump truck out to rescue him. Talk about a heat island. Went to an air show some years ago and the F-14 crew brought four squares of 1″ plywood to park on to prevent from sinking into the asphalt. At an air show here I witnessed a Harrier landing on some hot asphalt. The jet blast got under the asphalt somehow and some huge slabs (50 sq ft or more) began lifting up toward the aircraft, about `5-20 feet above. The pilot reacted well and got the heck out of there, The way those slabs of asphalt mushroomed out, I.m sure they would have hit the plane if he had not retreated. The slabs flipped over, outward leaving something like a crater. Exactly the problem that the CAT dealer faced in the Oil Sands back in 1965. The oil in the sands was burying their D-9s or whatever they were using. The CAT dealer had to get Caterpillar America to create huge machines, some four stories high, with 14 ft-plus wheels to counteract it. This is your government and press at play. How much longer gonna be that way? This could have been a thermal. Those are common, and occaisionally they can cause the temperature at a particular point to change about a degree C – especially if a large one forms where the surface temperature is uneven, such as at airports. The temporary wind direction change may have been from the presence of a large thermal. I have seen such temperature fluctuations happen before at Philadelphia International Airport on hot sunny days, even sometimes when the wind direction constantly kept air cooled by the Delaware River from moving onto the weather station. Rant…., &63#*@!!/&6. And I mean It. They have become so used to some AGW friendly rag just accepting their bs that they don’t even bother to hide the lie!!! Funny thing is that I did almost the same thing when I read the ‘record’ news! I had a brief search to see where the met station was located and then tried to find the data as I was sure it was most likely a thermal blip from planes landing in and amongst the general UHI that can clearly be seen over the heathrow historical data. It was just the fact that planes are supposed to land every minute or less at heathrow, and that this has been gradually increasing over the last 50 years that would clearly imply a definitive UHI effect. (not sure how ‘good’ the station location is either? – hot tarmac, etc, etc). Anyway, after a very brief perusal I decided it was all rubbish and just put it down to the usual alarmist/greenie type hype…….seems that is the norm these days! Well done Paul BTW. You will have to wait for July. These stations are designed to measure the temperature of the air on the runways, and that’s all they were ever designed to do. The idea that they can be used to measure temperatures elsewhere is on of those notions that is so absurd that only a climate activist can entertain it without their head exploding. That’s exactly correct! I keep trying to hammer that into folks. Those temps are used for aircraft performance on take off and landing distance. Who in there right mind would stick a thermometer on a concrete ramp and consider it to be the final sole representative of the local climate is beyond my senses. In fact, any temp in an urban heat island is simple useless. They like to get rid of thermometers, how come not in obviously thermally distorted areas like airports and other areas next to air conditioners & parking lots. Oh wait, the answer is already obvious….. Temperatures at airports are needed for “aircraft performance calcs” nothing else. As an ex-Harrier pilot I can attest to the fact 1 deg C can make a significant difference. Hence the need for getting accurate “outside air temperature” readings. Airports in general are huge areas of concrete and asphalt with jet engines pouring out huge swathes of high temperature exhausts. A sweep of a jet’s exhaust is very memorable both for the heat and smell. As usual, when there’s no warming a believer will find some. Your last name is not Watson, is it? I bet Co2 levels are pretty high there too. No question of the temperature they measured, it is anyway measured. But where has all the quality [assurance] gone that is used so frequently to make sure it is a “valid” measurement. I ask my self for how long a time you need a maximum measurement before you [consider] it a real maximum? An old thermometer has some heat capacity that levels out small spikes, which the new electronic devices do not have. Would they with the same enthusiasm report an extremely low temperature reading, which could happen any time just around sunrise out in the country? Well, a fellow could get some giggles up randomly selecting stevenson screens and letting off a heat gun or benzo torch on it. I’ve missed your musings on some of the recent posts here. Always very well written and interesting. Well you don’t count it as a climate event unless it lasts for 30 years. On the day they recorded that jet blast, the total Temperature range on earth was at least 100 deg. C and more likely 120 deg. C, and possibly as much as 150 deg. C, so a 1 deg. C is just random noise. I think that if the rules of the temperature measurement game stay constant, then new measurements are as valid as old ones. Also, there is significant evidence that the high temperature blip was caused by a common natural phenomenon known as a “thermal”, and those have been known for a long time to cause temperature and wind swings. And they can cause temperature swings as great as around a degree C at places with diverse surfaces, such as airports. I have known this to happen at Philadelphia International Airport as far back as 1977, and this seems to be “old hat” even back then. My first thought when I saw the graph that Willis posted, that it very well could be from a jetliner exhaust. (from the heat from it’s engines for a brief moment). “Is it really possible for a bit of sunshine to increase temperature by 0.9C in two minutes?” Yes of course it is. Not that this changes anything about the worthlessness of having a thermometer next to the worlds busiest airport! For safety reasons, pilots really do need to know how hot the air on the runway is. That doesn’t mean that the number generated have any relevance outside the airport. Off thread, but I wanted to refer to the list of excuses for the pause in the Climate Fail section, expecting the total to have increased to about 70, but it hasn’t been revised since Sept 2014. I can think of two more excuses in the last month: ‘the SST instrument readings were too low'(Karl et al ) and ‘the missing heat’s in yet another part of the ocean’ (Nieve et al). Is there any chance that the list could be brought up to date? I realise that there are many pressures from running this brilliant site, but the is a damning catalogue of climate science incompetence and it would be a great loss if it were to wither and die. Correction: last para ……but the list is a damning catalogue…………..
Not with the station data shown from the Heathrow because 600-700 W/m2 is still a high value and shows it was still sunny at the time. Radiation values at 900+ W/m2 indicates small amount of clouds around the vicinity in sunshine reflecting more radiation on the sensor. If it was a clear blue sky the sensor would have recorded lower readings. Reflective radiation from cloud is hardly picked up on temperature sensor with proper shielding. It took 10 minutes to warm and cool 0.5 c from a cloudy sky to mostly clear sunny one. The 0.9 c increase in 2 minutes almost certainly looks like it was caused by heat exhaust from a passing plane. Note that the Heathrow temperature spike was associated with a temporary wind direction shift. It was plausibly explained in a comment in a recent relevant WUWT article that the wind direction shift was caused by a “thermal”, a bubble of surface-adjacent air getting hotter than its surrounding surface-adjacent air and being about to take off like a balloon in the natural convection process. The temperature difference gets greater, somewhat easily around 1 degree C, when these form where the surface is diverse, such as at airports. And this supposed thermal was said to be a large one, easily plausible. Why anyone pays any attention to these fools , is beyond me ! If I staked my business on their information , I would most likely be jail ! Why pay attention to the increasingly imaginary information they dish out? Only because they are using that information in a worldwide attempt to control our lives and our property. What this seems to me to evidence quite clearly is not the thesis of CAGW but the thesis that with increasing anthropogenic activity in urban industrialised environments and those otherwise heavily modified and with significant thermodynamic events occurring ( such as aircraft jet engines say) the probability that some local spike in the temperatrure record will manifest is greatly increased. Its a bit like going to an indoor stadium and noting the probability of encountering a human fart increases as the numbers inside increase and is not evidence that too many people are having baked beans for breakfast. Hey, but this is ‘climate science’ we are talking about here, so anything is a possible ‘explanation’. Heh, ‘Catastrophic’ alarmism suffers from the Urban Myth Island effect. One excuse for the spike here compared to a very close locality was the presence of clouds at the other [colder] site. Surely the mount of radiation at 2 adjacent sites should be step by step similar if there are no clouds. Is there a map of the clouds on the day at that time? Or do radiation levels at close by sites vary hat much due to atmospheric conditions? Does the sun really change output so much in a couple of minutes otherwise. On a different note ground temperature can vary quickly depending on clouds and wind if neighbouring areas are at different temps due to ground cover, water etc [and aeroplane exhausts]. Is it really possible for a bit of sunshine to warm temperatures by .9c in two minutes ? I don’t know the answer to that, but I DO have two questions. Reflected shortwave radiation and wind speed are routinely measured on many automatic weather stations and therefore available for the new scaling and air temperature correction. The combination of incident solar radiation and low wind conditions leads to significant errors in air temperature measurements when using a sensor installed in a naturally ventilated radiation shield. These radiative errors tend to be particularly large over snow-covered surfaces (up to 10°C). Since the peak at Heathrow, as stated by the Met Office, coincided with a period of strong sunshine there might be grounds for considering that the ensuing rapid temperature rise was a radiative response in the sensor. Does anyone know whether the Heathrow uses a sonic anemometer for temperature sensing, thus avoiding radiation effects on the sensor, or has a correction been made for any radiation effect? I was the official NWS observer at a weather station Utah for more than 5 years. During that time we were taking daily temperatures with the “old” liquid-in-glass thermometers AND the new MMTS electronic sensors. We submitted all of our data to a research rofessor who was tracking the differences between the two types of thermometers. My observations at this station over 5+ years was that the L-in_G thermos were nearly always 1°F warmer on the highs and 1°F lower on the lows. So you’re yet another cheater who adjust true, saint data? curious that the temperature increased by 0.5degrees between 14:12 and 14:13 at the same time the insolation decreased by 50W/ms. But it’s the sun! What’s the lag in those thermometers again? A meta thought followed by a suggestion. Thought. This entire episode shows vividly what is wrong with ‘consensus science’ (confirmation bias, shoddy facts, alarmist PR), and why the internet changes everything. Paul writes a series of questioning factual posts. Booker picks up and puts into the MSM. UKMet stung enough to give a BS responce, stupid not to give Paul the data, stupider to give it to Carbon Brief in an attempt to light an internet backfire–which backfired. Judith highlights the kerfuffle. Willis spots Judith, and does his usual excellent analytic thing. Paul spots Willis and closes the circle with the two key underlying political questions for UK Met. Suggestion. For maximum effectiveness, the whole story needs to be written up and submitted as a paper. And it needs to be written in a separate fashion as a follow on MSM story for Booker, Dellers, Rose, Lloyd, maybe even Revkin (who might be coming slowly to his senses). Plus given in the MSM fashion to UK MP’s and Lords, several of whom (Jenkins, Ridley) can further this crystal clear example of institutional warmunism in the UK Parliament. b) They are ignoring data that is accurate and cannot be manipulated from satellites. Anyone with a shred of intelligence would sit on a beach, in a park anywhere except on concrete or asphalt on a hot summers day when the sun is shining. Also related to this thread… in the early 90s I worked for a local utility company that maintained its own weather station network in the PHX area. One day while out checking on a utility weather station I decided to drive by the official NWS weather station at Sky Harbor airport since I had not yet seen it. The PHX station had been relocated within a year of this time from the middle of the airport (surrounded by concrete asphalt, and lots of planes, to the outer NE edge of the airport property, surrounded by perhaps 40-50 meters of open dirt (or “desert”, if you will). As I drove by I had to do a triple take — the entire area, including an approx. 50 foot-wide strip around the weather station compound had been oiled black. When I got back to my office I asked my boss (a meteorologist) and a meteorologist colleague why the area had been oiled. They were dumbfounded. The three of us immediately went next door to the NWS WFO and asked the MIC — he was shocked… they had no idea it had been done. A day or so later the MIC told us he learned that the FAA had ordered the dirt oiled because they were getting erroneous “dust storm” alerts every time there was a small breeze. And, you guessed it, the temps from that station suddenly jumped up a degree or two. And that is one good reason why you routinely adjust temperature data automatically. When they relocated the weather station there would have been a different discrepancy between surrounding stations and the new station, compared with surrounding stations and the old station. This lets you work out the change due to the station relocation (or the change due to the station surround being painted black, for that matter). If done correctly the degree or two difference would have been automatically corrected. For, while local temperature variations are large, the true temperature anomaly does not change over very large distances – 100s to 1,000s of km. That was why the NWS was so furious — they were actually running both stations simultaneously for a number of months in order to determine the correction factor — and then the FAA messed it up. Of course, since then the station has been moved again. Twice, I think. And the current location is in between the runways. So, from a parking lot, to open desert, to in between the runways. How do you mesh those records? You cannot calculate an anomaly without accurately measuring the absolute temps over (typically) 30 years. And even if the “true temperature anomaly” does not change over very large distances it does seem to change over time — as adjustments are made to the underlying assumptions used in the calculations. British Railways are often afflicted with ‘the wrong kind of snow’. Maybe their airports suffer from the ‘wrong kind of heat’? I don’t think British Railways operate many airports. With all this digital measuring equipment, we are able to measure and record temperature (and a lot of other data) with a high frequency. The MET office has decided to record data every one minute. If they would have decided to record data every ten minutes, they would not have gotten a peak of 36.7C, but something around 36.0C, depending on the start and end time (assuming the recorded value is an average over 10 minutes). Back in the old days (before digital measurement devices) a person had to go to the thermometer and check. How often did this person check? I am sure it is not every one minute, not even every 10 minutes. Few times per day? How often did he get up at night? My questions: how does the sampling frequency effect the value and frequency of these “record” highs and lows? Is it fair to compare values/trends/min/max which were collected using different sampling frequencies? If the older min/max thermometers with a lower sampling frequency are working correctly, and have a time constant less than the time period between samples for the newer non-min/max thermometer, then, yes, it is valid to compare records between them. Clearly there may be circumstances when it is not a valid comparison, but this will depend on the equipment present at the two record times being compared. It is an interesting point. Increases in sampling frequency will increase the estimates of extreme values and this needs to be compensated for. With digital equipment a 10 minute interval would still record 36.7 c, only difference is you wouldn’t know which minute the record occurred on some of them. Digital record temperature readings every 30 seconds or so, whatever the length of interval is. Hourly observations use max and min instrumental thermometers. With all respect to Clive, I prefer Flightradar24 since it’s Euro-centric. There appears to be 2 747s landing in that time frame, and they both point their jet-blast at the Met station when exiting the runway. Please send your flight log along to him, so that we (the internet rabble) can complete this story. Looks like the turnoff which BAW242 was on extends 1000-1600 feet from the weather station. Considering ever growing structures and traffic, the weather station on an active airport, has one single dedication: giving ATC and pilots information they need for take-off and landing. People who use such data to describe climate are idiots, scharlatans or criminals. In principle would it not be better for us to ignore odd fluctuations of temperature caused by tarmac, wind and jet planes. We can’t possibly gain insights into what really occurred on that day, now nearly three weeks ago. Far too many factors are involved – and it was now so long ago. I suggest that we should start again from scratch and generate a new global temperature data set for the last 150 years, which will largely rely on modelling the thermal characteristics of a variety of types of buckets on ropes, containing sea water extracted from the ocean by sailors in a variety of weather conditions in times long past. We could get Phil Jones to do the work on imaginary, I mean theoretical, bucket behaviour. He seems like an altogether trustworthy fellow. And then with our sparse collection of guesstimates of what was happening in the first 100 years of our analysis we could homogenize the data over areas never visited and we could throw in some ridiculously small error bars and claim to have a good idea of past global average temps to within less than one degree. And we could do all this whilst pretending to be objectively free of bias – even though we would be able to reveal hideous levels of bias in (temporarily) private emails to one another. Only then, could we use all this to scare everyone into believing that the world is about to end, unless they give us all their money. How could any of this possibly go wrong? Have a look on ‘Wundermap’ and backtrack to July 1st,lots of Amature and so called Professional weather Station records. As an operational meteorologist for a few decades, I believe it IS possible for a 1C rise in temperature in a minute, as on a hot summer day there are localized discontinuities which can have that range of effect. However, with the added information of the proximity of the jet activity, it seems more likely to me that the temperature increase was due to non-natural effects of the jet exhaust. This was well-known to occur frequently at Newark, NJ (KEWR), especially with the old HO83 temperature-measuring equipment. from Australia: a caller driving around melbourne called in to a radio station last nite to say it was 2 degrees celcius in kew, brunswick & one other location in melbourne. the radio presenter checked the current BoM figures for melbourne and said: the Bureau says it is 3.8 degrees – i don’t know where they got that from – probably at the airport (paraphrasing). ***funny how UHI gets acknowledged these days! July has so far recorded an average maximum of only 12.6 degrees – a full degree under the 30-year average of 13.7. Melbourne’s average July maximum hasn’t been less than 13 degrees since 1995. The last time we recorded two consecutive mornings under 2 degrees was last August but before that, it was in August 1997. Mr Williams said that was actually a pretty common occurrence in the 1930s (in 1937 there were eight consecutive days under 2 degrees). Back to the present day, Mr Williams said Monday was an improvement on Sunday’s big chill, but it was still cold. A DEEP freeze not seen in NSW for at least 20 years has caused havoc on the roads, closed schools and services, and put Sydney commuters through one of their coldest mornings on record. The apparent temperature in Sydney’s CBD dropped to -1C at 7am today, believed to be the coldest for the city since hourly wind chill readings began in the 1990s, with rain exacerbating the discomfort. Further west it was snow causing most of the trouble. More than 40 schools in the Blue Mountains and Southern Highlands had to be closed because of snow. An estimated 9500 homes in those regions were without electricity on Friday morning after snow-laden tree branches hit power lines. Major roads, including the Great Western Highway, Mitchell Highway and New England Highway, were closed due to snow and ice. The point is that the temperature spike rose from 14:09 when radiation increased sharply and peaked at 14:12 . The extra 0.5°C rise at 14:13 could very easily be a plume of hot air drifting in from the tarmac areas. Can anyone tell me if electronic measurements incorporate thermal inertia to match the old mercury ones? if not then no comparison between the two sets of data means a stuff. A two minute four degree change then returning to the original one as electronically registered, when measured on my mercury certified tenth of a degree thermometer only registers less than half a degree. Screens for PRTs can be much smaller than traditional Stevenson screens, allowing a swifter response and so a more accurate…. This article suggests they are knowingly comparing two different types of data which is a bit like bracketing Bramleys with golden delicious as both being apples knowing that they are not the same and not interchangeable and then saying the world has a problem because apples are now inedible unless cooked because of climate change. For some reason the meteorological station has been disappeared from the YYZ 2013 AVOP map. It was there when I drove by yesterday, located, as usual, north of South Service road and south of 06R-24L by D1-D2. Disregard. Seems to be back in the 2014 map with all the creeks, streams and assorted infrastructure included. Planes with wheel tug electric motors, which can taxi without running their jet engines, will not cause jet-stream effects unless the weather station is close to one end of the main runway. Very few planes can do this right now. These planes had just landed. The last one to come into Heathrow as a glider crashed (its fuel supply choked on paraffin wax formed in very cold flight conditions). Tell me, Climate Pete, what sort of airplane designer would deliberately add weight to an airplane which isn’t needed for operation in the air or taking off or landing? All airplane designers strive for minimum weight because carrying around unnecessary weight adds to operating costs. Well if THAT spike doesn’t indicate anything wrong, then all the little jiggles they use to justify rewriting past temperature raw data don’t mean anything wrong either. So give us our raw data back! There are many ways a warm spike can occur and jet engine exhaust is a good example. There are far fewer ways a cold spike can occur. I believe this is a very real bias applicable to today’s sensitive thermometers. I dont recall there being a “sensitivity bias” downwards temperature correction applied to any datasets though. Indeed. We should call it the temperature ratchet effect. That notion would make for an interesting study. Something like a field of sensors to measure micro-scale temps, wind, pressure, etc. across a wide area surrounding an “offical” measuring station. Then record the fluctuations at the micro-local scale and determine whether the equipment setup favors capturing non-representative high temps (local spikes). Wonder if something similar has been done? TimTheToolMan asks Wonder if something similar has been done? At Lyneham which is an RAF station where official measurements are made a group of private measurements by people from the base showed clearly that the measurements were about half a degree higher over a five year period until the base was closed down. The discrepancy disappeared after that in spite of the runways remaining in place. The US did set up a network of properly assessed to the standards (the US Climate Reference Network) which showed just how bad the results from most of the stations really were. In even any pretty average engineering environment the results from the reference stations would be compared to the results from the bog standards one and adjustments made to that reference standard. Climate scientists being academics not practical people think they know better and instead fiddled the others upwards or downwards to match their theories instead. If the adjustments were made to engineering rather than climate science standards we are now in a clear cut cooling phase of the cycles. This was as predicted by signal analysts in the late sixties using methods more advanced than the linear projections of the climate fraternity but documented at least by 1750 so they really have little excuse for not using them as too new radical and advanced to be trusted, by their thinking. I know there is a difference between ice extent and ice area, but I just feel that something strange is happening with the sea ice data. Aviation use UTC (Coordinated Universal Time) which is a successor to Greenwich Mean Time (GMT) for flight plans and air traffic control clearances. For most purposes, UTC is considered interchangeable with GMT, but GMT is no longer precisely defined by the scientific community. To answer your question it would not be BST. Airlines usually like to advise passengers and those meeting them about the local time of arrival. If you look at the flightradar24 data linked up thread, you will see aircraft departure and arrivals noted in local time (with time difference explained). It would be BST. UTC+1 Much like EDT. UTC-4. For instance AC420 YYZ-YUL is scheduled to depart YYZ at 17:00 local no matter where +/- UTC is. I did not know prior to this that the met office weather stations such as Heathrow or Waddington had anything but hourly records of temperature. We can find out more detailed information if we pay them money and it is from this more detailed temperature record that the new temperature records for July have been set for those weather stations that they claim have done so. I think that we have been subjected to nothing but propaganda from the Met office and the media in the UK about the weather and what little confidence I still had in the Met Office has now gone. REPLY from Ben Sandilands: That’s sad news about the Melbourne de-ice truck. I noticed this morning that there are still drifts beside some roads three days after most of the snow fell and some of them show signs of being caused by the use of a grader to clear at least one lane. What I meant about a major de-ice investment was the sort of industrial strength units used in much of the northern world. Really, why use any thermometer at any modern airport for keeping climate records? It only makes since if you desire higher temperatures. Dollars for doughnuts they’ve adjusted early temps down and modern temps up at that site. Solar radiation are measured horisontally. At that latitude and time of day will clear sky condition give a radiation of less than 900 w/m2, If larger values are measured must a reflections occured. Either in the atmosphere by clouds or by something on ground. Paul Homewood wants to know why the Met Office handed over data to Carbon Brief. Caio Koch-Weser is a German politician, economist, civil servant and business executive. He was Secretary of State in the German Federal Ministry of Finance from 1999 to 2005. Before his governmental duties, Mr. Koch-Weser spent 25 years at the World Bank, most recently as Managing Director of Operations, based in Washington. He was also Chair of the World Bank Policy Committee and a member of the Executive Management Committee. Currently, he is Vice-Chairman and senior adviser with Deutsche Bank. The graph speaks for itself. It reveals a temporary spike in temps that is outside all other recorded temperatures that day. It’s an anomaly, simple as that, and should have been treated as such and ignored. However fair isn’t part of the alarmists playbook. Trying to charge Paul Homewood while giving the info’ to the Carbon Brief for free just cements the mean-spiritedness of the deal. PS @ mod, sorry for earlier rant. Adjusting data for known biases isn’t in denialists’ playbook. The record holds. Yes, but with that logic, every past high record would need to be examined to determine whether the high on that day was over a short interval as well. Do we know that the data was provided free of charge to Carbon Brief? They may have paid the nominal fee. What on earth s a temperature station doing next to one of he busiest runways in the world? It is unreliable. Not for the purpose it is primarily intended. Flight crews need to know the local temperature, not the one some miles away. As plausible as this all sounds, shouldn`t we be seeing a lot more of these spikes on a daily basis? How do you know we aren’t? The only reason this particular spike was examined more closely was due to the attention-grabbing fanfare of “hottest ever” publicity. How long has Heathrow been doing minute by minute logging of temperature? How can such a measurement be compared to the old use of min/max thermometers which would have a much longer latency for sudden temperature change? son of mulder. I would strongly suggest that this is happening as a result of zero actual global warming for 18.5 years and the necessity to “prove” that AGW is occurring in the last Northern Hemisphere summer prior to the December Paris Summit. I must admit I am praying for blizzards to close Paris airport for a few days before this crapfest takes place. The siting of the Heathrow Airport weather station is documented here with picture. Maybe because then all of their readings would become suspect. The Carbon people wouldn’t use/investigate that bit about the spike, but someone verifying the readings would. I take a bet that about that time a ‘heavy’ was doing some taxing . stopped for some reason then give it a boot full to get moving again , that would produce a nice big bloom of ‘hot-air’, wind in the right direction would be all you need. The real story is the MET office PR pushing this ‘hottest ever ‘ and their attempt to BS there way out of it . Which when it comes to CAGW then been doing for years . The same plane also caused abrupt rise in sun radiance? At 14.09 969.5 W/m2 there wasn’t a sudden temperature rise before for a minute. Please note you need sunshine to record solar radiation levels between 500 and 700 W/m, just different amounts of clouds affect the readings and can scatter solar radiation to give an impression the sensor is detecting more solar radiation than a clear sunny sky. If the idea was it takes a while in sunshine for it warm before it quickly rises, then why did the temperature suddenly drop while high sunshine levels were maintained? This certainly indicated a unnatural spike or the continued sunshine would had maintained it. Instead it drops 0.5 c in just a minute straight after, while continuing mainlining high solar radiation level readings. Woj radiance on hot tarmac = UHI. You cannot know if other variables such as heavy airliner jet blast are involved so the data should be dumped from any sensible climate analysis. Any record at airports is meaningless unless you have a lot more instrumentation to account for all variables in a scientific manner. Warmists only require consensus to include bad data in the record of course. Science has little to do with the record. The temperature at Heathrow on that day was only at or above 36c for 4 minutes it would be interesting how long the spikes lasted at the other stations that claimed record July temperatures, this could have been the four minute heat wave across the UK and I did not notice it pass by because it did not seem that hot a day where I was it was cloudy mostly. While I have been busy I found time to e-mail Heathrow. A very pleasant, professional lady, Debbie King, replied that the runways are “made of tarmac”. Sunshine on what we call “blacktop” raises the temperature a bunch. Particularly new blacktop. 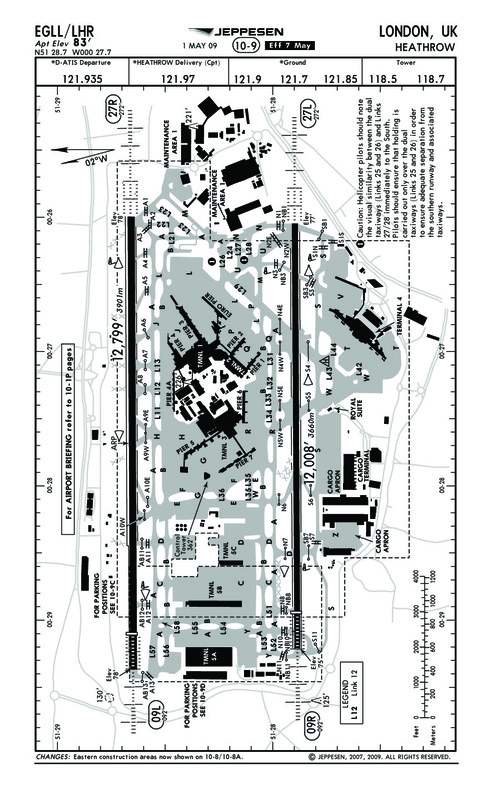 An aside, the 10,000 Ft and 8600 Ft runways at the Rockford Airport are made of blacktop. Our record high temperature is 112 degrees f. Wasn’t quite that hot when the Concorde used to land here. As a retired (reformed?) roofer I know those long-chain molecules can be blown to pretty stiff consistencies. We mopped at a bit above 550 with “extra steep” we used on walls. In the short section of data provided there are short ‘runs’ where the temperature change is >= 0 in successive samples. Most “runs” are only 2 or 3 samples long. There are two runs of 5 successive increases. One at 1430 to 1435 gave a net 0.5 degree increase. The run at 1408-1413 which produced the maximum has a swing of 1.6 degrees. All other runs are 0.6 degrees or less. The swing which leads to the maximum is a major outlier compared to all other changes. It would be interesting to see what swings were recorded across much longer periods.